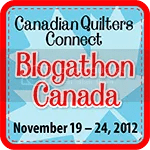 Sew Sisters, a fabulous Canadian online and brick-and-mortar quilt store, is sponsoring a week-long event “Canadian Quilters Connect Blogathon Canada” from November 19 to 24, 2012 to highlight Canadian quilting bloggers’ creativity and talent and give us all a chance to discover some new-to-us blogs. Each day two host bloggers will introduce themselves and their work on their blogs. They will include links to more blogs from their province so you can visit those blogs as well. 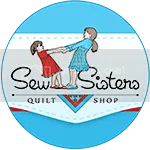 The two host bloggers will also host a giveaway of some of their favorite goodies from Sew Sisters and you will have a chance to enter two giveaways each day for a week. I’m proud to announce that I will be one of the host bloggers. 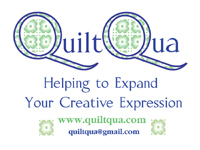 Saturday, November 24, 2012 – Ontario – Quilt Obsession – that would be me! I’m looking forward to that week as I’m sure I’m going to discover some wonderful blogs I haven’t been to before. When the Inklingo Hunter’s Star collections came out and I saw those fabulous .75″ diamonds in the 6-inch Hunter’s Star collection, I knew I couldn’t resist them for long. I was right. Last night I chose a few 5″ squares and printed the shapes on them and seconds later I had a few sets of 8 to make some 2.5″ LeMoyne Stars. I can tell that making these tiny stars is going to be addictive! Seams graded, block pressed and now I’m ready to make another and another and another and … well, who knows how many! 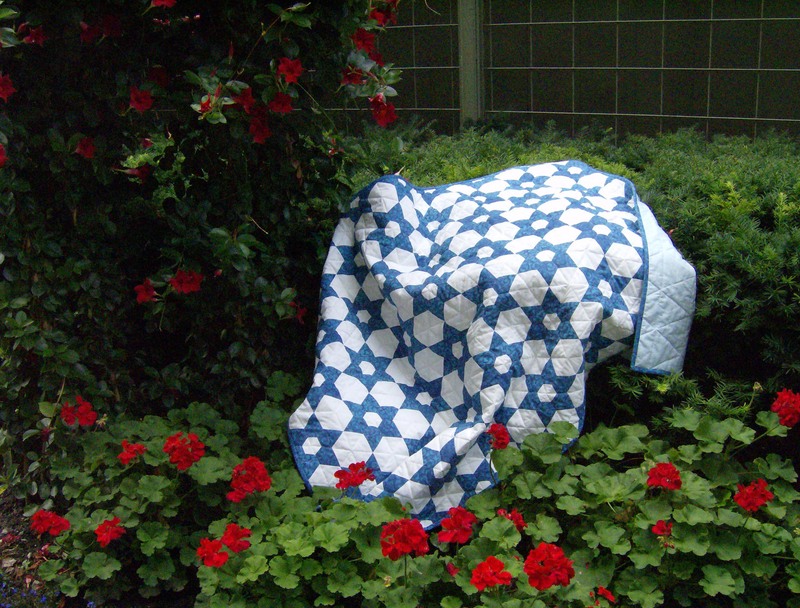 Baxter’s getting in some practice at the computer so he’s ready for the Canadian quilters’ blogathon. After all that work, he curled up to rest in the pink chair. congrats on being one of the chosen blogs. Cathi ~ I have been wanting to make tiny LeMoyne Stars ~ Does the Hunter Star 6″ collection have all the pieces or did you use more than one collection? Your star is adorable. The blogathon will be fun, it’s great that you are part of it! 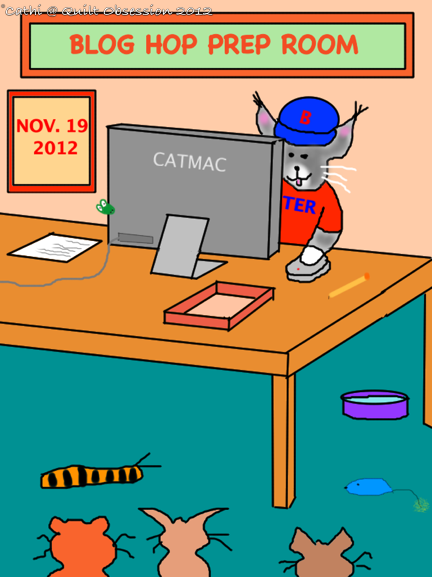 Now I learned something today from the toon, Baxter is a lefty! 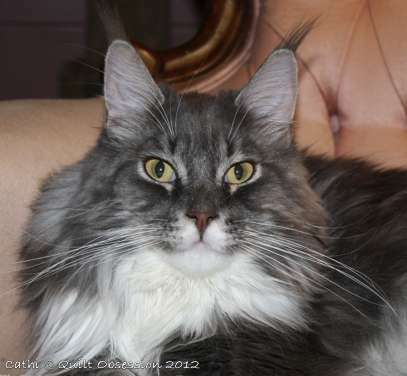 And who are all those little unknown kitties flollowing him around all the time, his fan club? Congratulations on being featured! No doubt about Baxter, he is game for just about anything. what a great idea, as a fellow canadian I am excited to find some new to me canadian blogs to follow! Cathi – your teeny weeny Le Moyne Star is so cute! 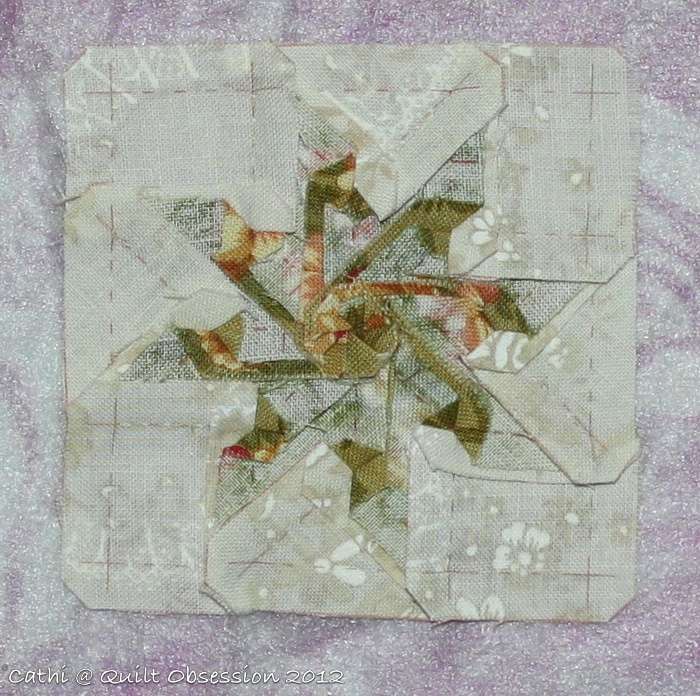 May I ask which collection has the background triangles and squares needed to make the block? 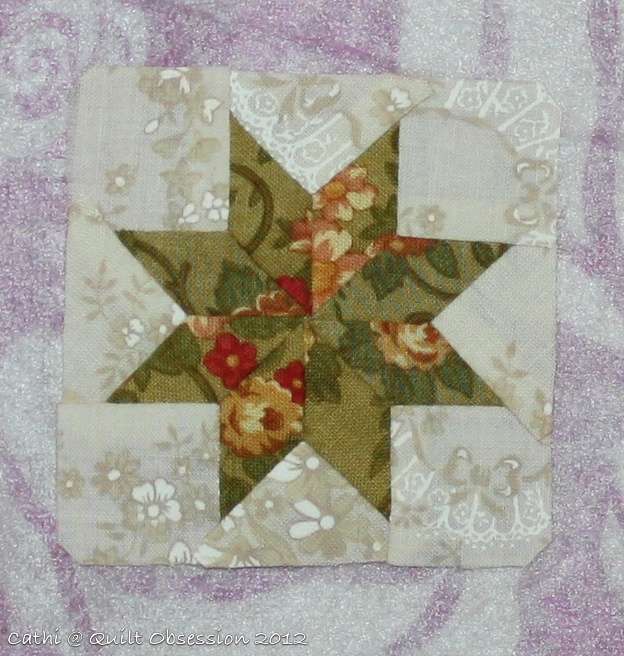 These stars would make an adorable baby quilt or even a little dolls quilt. Looks like a great blog hop, I look forward to discovering some new blogs.